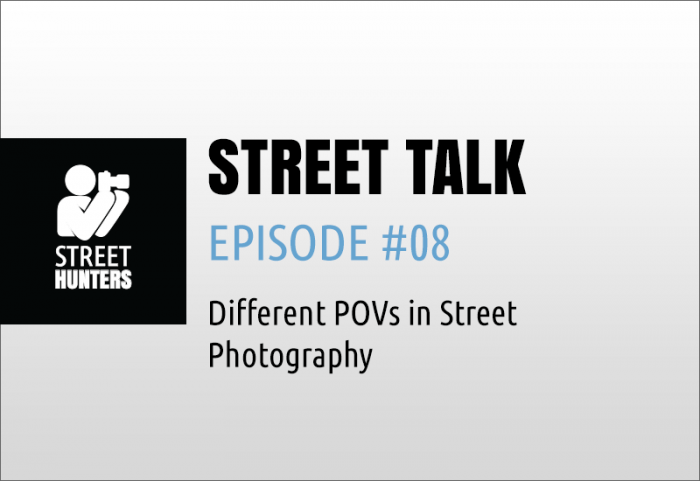 Episode #01: Introducing the Street Talk series. Episode #02: What gear do I recommend you have while on a local Street Hunt. Episode #03: P, A, S and M camera modes. Episode #04: Introducing 3rd party Street Hunt videos and the new monthly theme competition prizes. If you haven’t watched them, give them a look. They are short videos between 5 and 10 minutes, and they get straight to the point. If you like them, please like them in YouTube and Subscribe to our YouTube channel. Unless you have been shooting for a while and you have already tried out the different POVs I mention above and in the video, you should get some new ideas about making street photos once you have seen this video. It is very common for all of us to get zoned in to using the camera from the standard normal eye level point of view, but we need to freshen our portfolio up by keeping in mind that there are other POVs and angles that we can shoot from in order to get unique, uncommon results that will look interesting and intriguing. So, next to you are out there with your camera, mix it up, take photos you haven’t tried to take before and enjoy yourself.